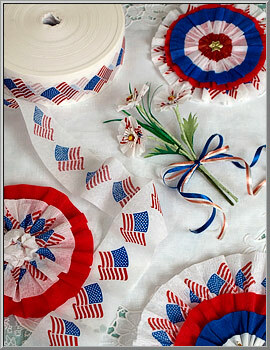 Roll of 500 ft. ~ Made in U.S.A.
Decorate with patriotic flair! 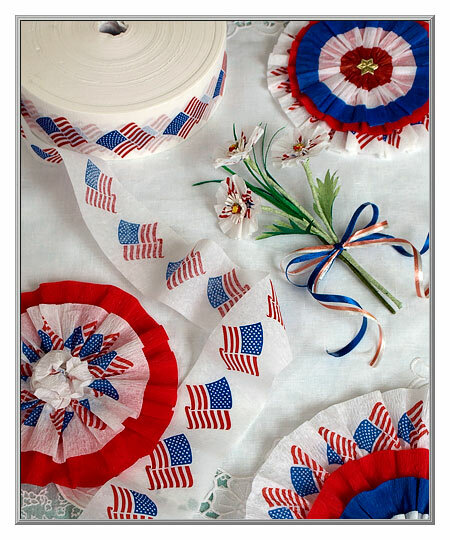 A traditional Independence Day festoon, this crepe streamer is great for garlanding parade floats, for party room special events, and making patriotic decorations, too. 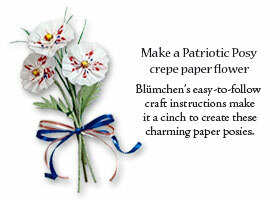 The posy flowers pictured were made using this crepe streamer; see below for a link to our craft instructions. 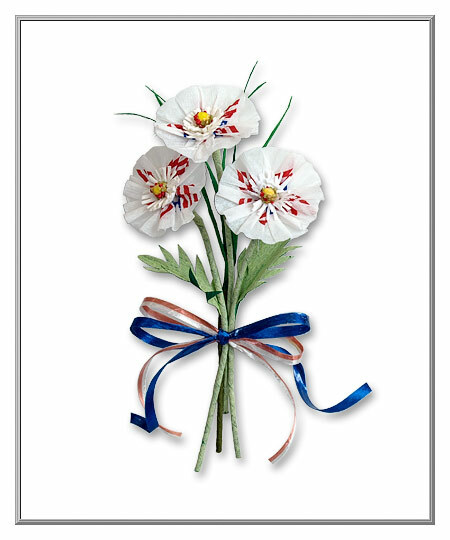 The streamer is bleed and flame resistant. Sold as one bulk roll. is 500' long and 1¾” wide.